It is about the first glimpse of azure sea and a suggestion of a beach holiday — even if only for an afternoon. 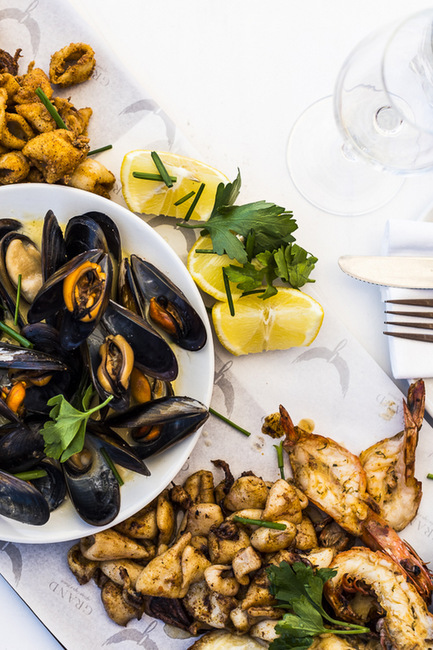 The Grand at Cape Town’s Granger Bay has always been a venue less about what you’re eating and more about the drinks and friends with whom you are sharing it. A place where piles of sand hold up the outdoor dining tables and slip-slops on feet seem overdressed. But step on to a shaded tropical-style walkway at the new, improved Grand Africa Café & Beach and you’ll see that massive mirrors reflect back and subtle décor tweaks now add to the experience. 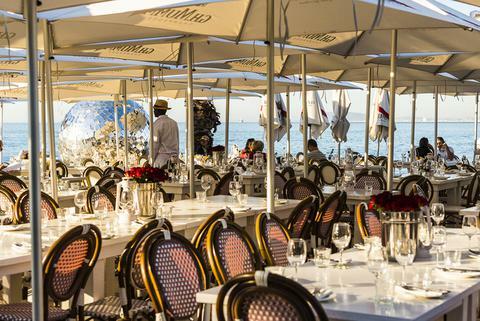 In July 2016, the Harbour House Group bought a 70% stake in Grand Africa Café & Beach, closed its doors and set about refurbishing one of Cape Town’s sought-after venues. Three months and a multi-million budget later, the style revamp is complete. Inside the original warehouse restaurant interior space, the sway of Café del Mar and newer loungey musical counterparts is familiar. But a Tanqueray gin bar is new and the long, industrial Grand dining hall next door now overlooks an Absolut Elyx bar. Two white, floating, old-fashioned pressed ceilings are a hanging focal point above the bar counter’s long stack of spirit bottles. A good portion of the renovation budget went towards bringing in more natural light by installing large stack-away windows in the original warehouse walls for those sea views. A new raised, ocean-facing indoor deck (called the VIP deck) brings the feeling of the beach inside, with white, wooden floor panels. Just the place for those who prefer to observe the beach buzz while enjoying a little more privacy and shelter from the elements. Other new outdoor sections include the Ibiza-style area on the beach, with luxurious daybeds, private bars and a deejay booth for a comfortably exclusive area, discreetly set apart. 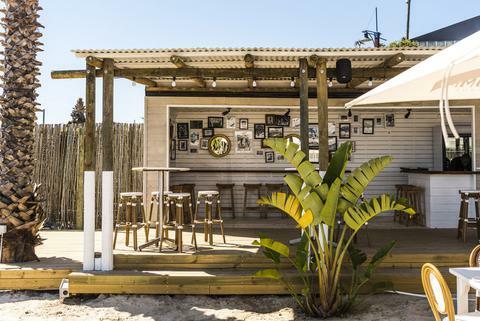 Two container bars have been repurposed and reclad as a beach beer and sparkling wine bar respectively. On the food side, the Grand is not changing what works. 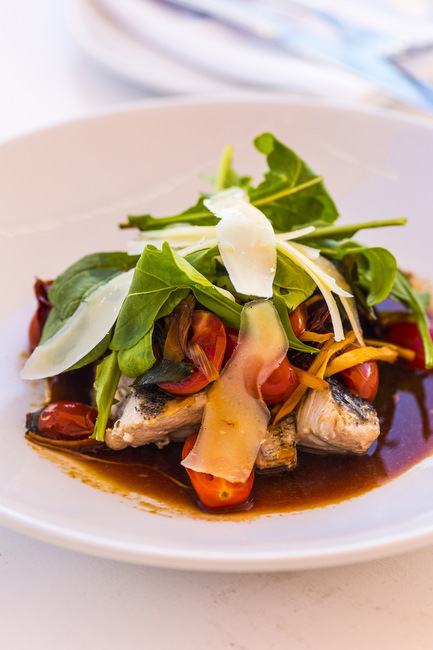 Head chef Dominic Faict cooked at Kloof Street House and Asoka previously. His kitchen now serves 1,050 guests a day. The menu includes signature favourites such as sugar-cured salmon, Chalmar beef fillet with bearnaise and Cajun linefish tagliata. Sushi platters are a new addition. The concept is “simple food that tastes great” for guests leaning towards food with their drinks, according to Grand GM Radley Dijkers. GRAND AFRICA CAFE & BEACH, Haul Rd, V&A Waterfront, Cape Town. Open for lunch and dinner. Tel 021-425-0551, Grand Africa.